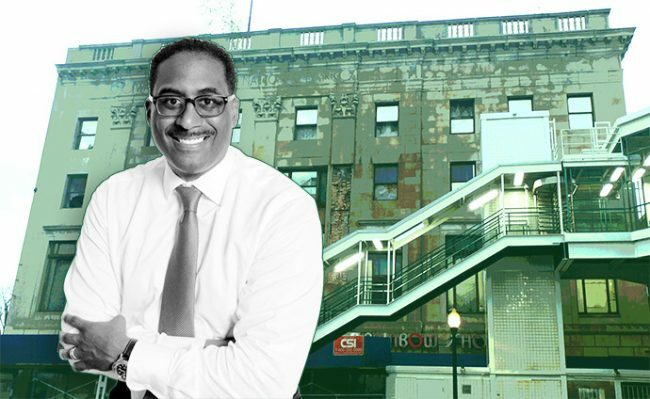 DL3 Realty got the go-ahead to raze the century-old Washington Park National Bank building in Woodlawn and replace it with a mixed-use complex. The Cook County Land Bank Authority approved a plan, Curbed reported. The move comes about six months after the public body issued a request for proposals to save and re-tool the historic building. The authority voted to select the only submitted plan that calls for the complete demolition of the building on 6300 South Cottage Grove Avenue, according to Curbed. DL3’s proposed three- to five-story office building, designed by FitzGerald Associates and Brook Architecture, may include as tenants a bank, a cafe, a co-working space and a University of Chicago office. The existing limestone building has fallen into disrepair. It was previously managed by prolific Woodlawn property owner Rev. Leon Finney Jr., who accumulated $3.7 million in unpaid taxes when county officials bought it in late 2017.